Magisterium: The Iron Trial is the first book in a new series by bestselling authors Cassandra Clare and Holly Black. Although I’ve never read anything by Cassandra Clare, I’ve been a fan of Holly Black’s ever since I’d first read the Spiderwick Chronicles, and I’ve had high hopes for this series since I first heard about it. I’m glad I can finally say I was not disappointed in the wait. The Iron trial is the perfect start to what is already shaping up to be a great series, and I’m more than glad I was able to read it early. It was good enough that I may finally break down and read the books written by Cassandra Clare that I have been hemming and hawing over for years now. There really wasn’t much for me to dislike in the book, it had just about everything I enjoy in a YA or Middle Grade book. The world itself seems to be an alternate version of earth, and I can’t tell if magic is hidden from the majority of the populace, or its just so well accepted its not commented on. This series seems like its going to be a little bit darker than your average middle grade or young adult series, and I find myself loving it even more because of this. I’ve seen a lot of people criticizing this book already for its similarities to the Harry Potter series and I find myself a bit confused. Other than the fact that it’s about a couple boys and a girl going to a secret magic school, I see no similarities between the two series. I really hope people won’t let such small similarities stop them from reading a great book. The only thing that I didn’t really like about the book was the pacing, I felt like they rushed to much through their training to really give anyone an idea of what it means to be a mage in their world. 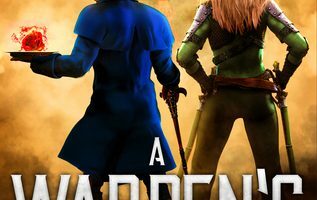 Other than that the the plot was interesting with many unforeseen twists and turns, the characterization was way above par when compared to similar books, and most importantly to me it was really well written. I would rate this book up there with the Percy Jackson or Ranger’s Apprentice series, all books I read and reread on a yearly basis. I don’t think there are many people who read similar books who will not love The Iron Trial. I know that I at least, am already eagerly awaiting the next book in the series. Magisterium: The Iron Trial is set to be released in the US on September 9th by Scholastic. 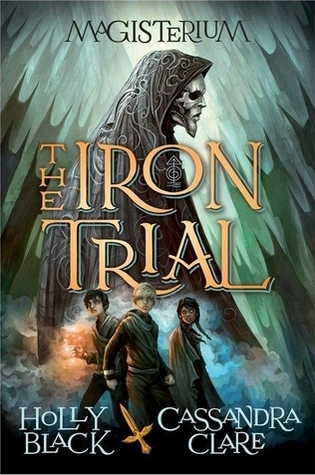 The Iron Trial (Book One of Magisterium) is set to be released in the UK on September 11th by Random House.